Antonio Rinaldi (1710-1794) was an Italian architect, trained by Luigi Vanvitelli, who worked mainly in Russia. In 1751, during a trip to England, he was summoned by hetman Kirill Razumovsky to decorate his residences in Ukraine. 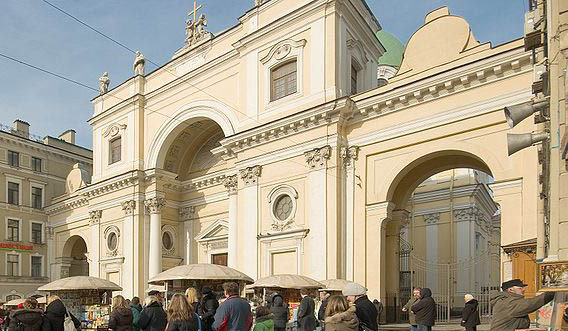 To this early period belong the Resurrection cathedral in Pochep near Bryansk and the Catherine Cathedral in Yamburg, now Kingisepp near St Petersburg (illustrated, right), where Rinaldi successfully expressed the domed, centrally-planned form required by traditional Russian Orthodox practice in a confident Italian Late Baroque vocabulary. 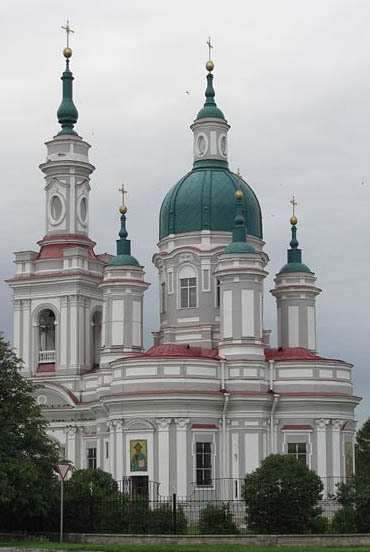 His first important secular commission was the Novoznamenka chateau of Chancellor Woronzow. In 1754, he was appointed chief architect of the young court, i.e., the future Peter III and Catherine II, who resided at Oranienbaum. In that town he executed his best-known baroque designs: the Palace of Peter III (1758-60), the sumptuously decorated Chinese Palace (1762-68), and the Ice-Sliding Pavilion (1762-74). In the 1770s, Rinaldi served as the main architect of Count Orlov, who was Catherine's prime favourite and the most powerful man in the country. During this period he built two grandiose Neoclassical residences, namely the Marble Palace on the Palace Embankment in St Petersburg and the roomy Gatchina Castle, which was subsequently acquired for Emperor Paul and partly remodeled. 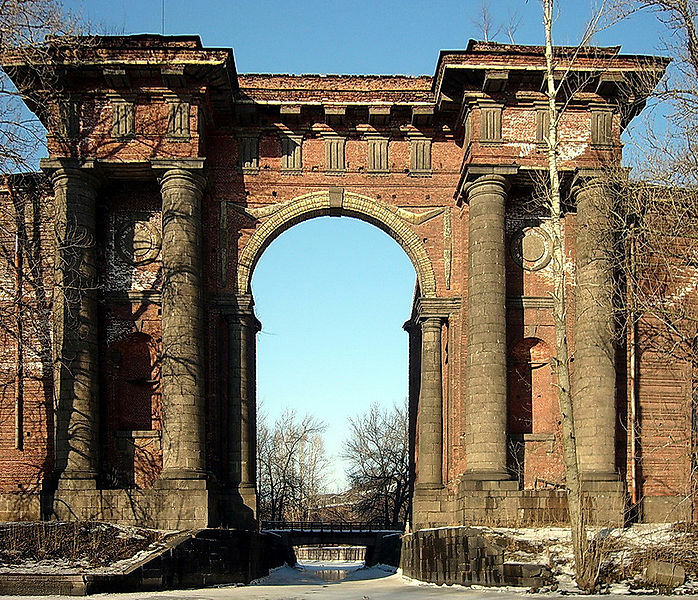 He also designed for Orlov several monuments in Tsarskoe Selo, notably the Orlov Gates, Kagul Obelisk and the Chesma Column. Rinaldi's last works represent a continuous transition from the dazzling rococo of interiors to the reserved and clear-cut treatment of facades characteristic of Neoclassicism. These include two St Petersburg cathedrals, one dedicated to St Isaac the Dalmatian and subsequently demolished to make way for the present Empire-style structure, and the other, dedicated to Prince Vladimir and still standing. In 1784, the old master resigned his posts on account of bad health and returned to Italy. He died in Rome on April 10, 1794. Jean-Baptiste Michel Vallin de la Mothe (1729 � May 7, 1800) was a French architect whose major career was spent in St. Petersburg, where he became court architect to Catherine II.. He was born in Angoulême, a cousin of the architect-teacher Jacques-François Blondel, under whom he is supposed to have studied,Beginning in 1750, Vallin de la Mothe spent two years studying at the French Academy in Rome, though not as an official pensionnaire. 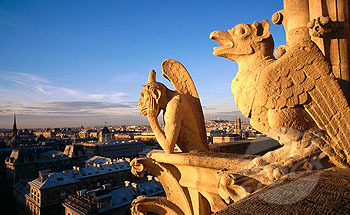 On his return to Paris he was one of the architects who presented projects for Place Lous XV (now Place de la Concorde. 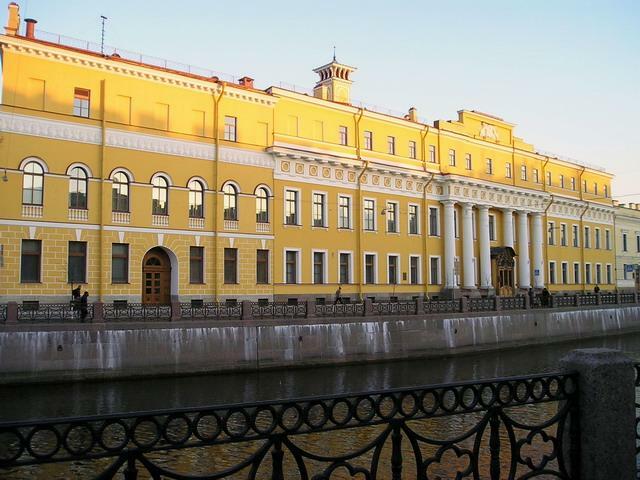 In 1759, Vallin de la Mothe accepted an offer extended through the Russian ambassador Aleksei Petrovich Bestuzhev-Ryumin, prompted by Blondel, to teach architecture in St. Petersburg. In St. Petersburg, Vallin de la Mothe adjusted Blondel's designs for a pet project of Shuvalov, the Imperial Academy of Arts (1765-72), in the form of a large open square with a circular central court. As a professor at the Academy, Vallin de la Mothe taught many Russian architects who would themselves be prominent one day including Ivan Starov and Vasili Bazhenov; under the impetus of Vallin de la Mothe, the promising young Russians were sent to Paris to apprentice with Charles De Wailly, thus setting a distinctively French stamp on Russian neoclassicism. 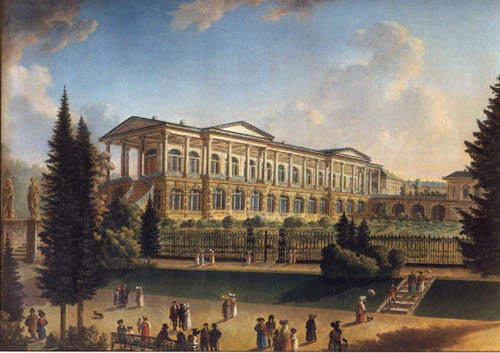 Catherine the Great had been so impressed by his work at the Academy that she commissioned him to build an extension to her Winter Palace, which sits across the Neva River from the Academy. This would be Vallin de la Mothe's most famous work. 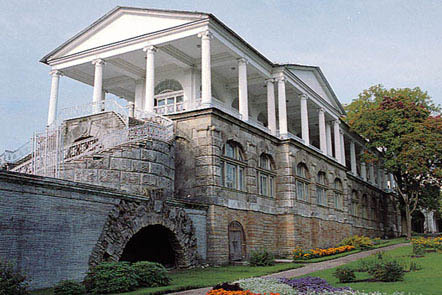 The structure he built, known as the Small Hermitage, became the home to Catherine's art collection. 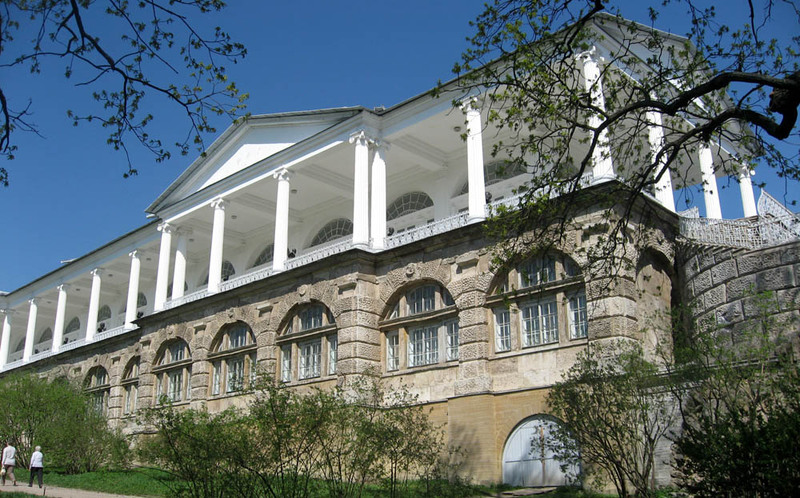 This collection would eventually grow to be one of the world's largest� today Russia's Hermitage Museum holds over 3,000,000 pieces of art, and hundreds of thousands of tourists visit Vallin de la Mothe's Small Hermitage, along with the rest of the complex, every year. From 1761 to 1767, he pursued a number of other projects. He designed St. Petersburg's market hall, Gostiny Dvor on Nevsky Prospekt (the main street of St. Petersburg), the palaces of Kirill Razumovsky, Ivan Chernyshyov, the House of Yusupov's Moika Palace (where Grigori Rasputin was murdered), and the New Holland Arch. In 1766 he officially became the court architect. He began, but did not complete, work on the Catholic Church of St. Catherine. Work on the church was completed by Antonio Rinaldi. In 1775, he returned to his hometown of Angoulême, where he lived for the remainder of his life. The neoclassical hôtel particulier he designed in the 1780s for Louis Thomas de Bardines survives at 79 rue de Beaulieu. Saint Petersburg (Russia), Imperial Academy of Arts. Charles Cameron (1745�1812) was a Scottish architect who made an illustrious career at the court of Catherine II of Russia. Cameron, practitioner of early neoclassical architecture, was the chief architect of Tsarskoye Selo and Pavlovsk palaces and the adjacent new town of Sophia from his arrival in Russia in 1779 to Catherine's death in 1796. All his indisputable tangible works "can be encompassed in a day's tour"; Cameron concentrated exclusively on country palaces and landscape gardens. Twice dismissed by Paul of Russia during the Battle of the palaces, Cameron enjoyed a brief revival of his career under Alexander I in 1803�1805. Apart from the well-researched Catherinian period (1779�1796), Cameron's life story remains poorly documented, not in the least due to Cameron's own efforts to shake off the bad reputation he had earned in the 1770s in London. Cameron's British neoclassicism was an isolated episode in Russian architecture, then dominated by Italian artists (Antonio Rinaldi, Giacomo Quarenghi, Vincenzo Brenna). According to his first biographer Georgy Lukomsky, "Cameron remains one of the greatest exponents of British taste and British Art abroad, and if he has been so completely forgotten in his own country, it would seem only right to rectify this omission". Howard Colvin ranked Cameron "one of the major urban architects of the eighteenth century ... an accomplished designer and decorator in a neoclassical style that has affinities with that of Robert Adam. His style is sufficiently individual to exonerate him from the imputation of being merely an imitator... 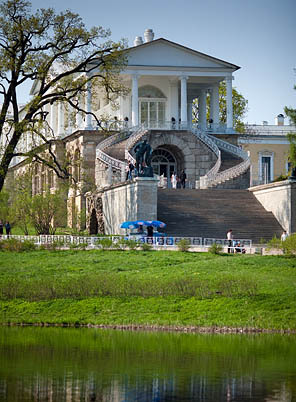 Although still a Palladian, Cameron was a pioneer of Greek Revival in Russia."